Abies concolor, as described in 1861 by (Gordon and Glendinning) William (Wilhelm) Hillebrand (1821–1886),in Verhandlungen des Naturhistorischen Vereines der Preussischen Rheinlande und Westphalens, 18th edition, is commonly known as white fir, Colorado white fir, or Rocky Mountain white fir; as well as abeto del Colorado, or pino real blanco in the Spanish language. The species name, "concolor," means "same color" in the Latin language, referring to needles having the same color on the adaxial and abaxial sides. Ethnobotany. 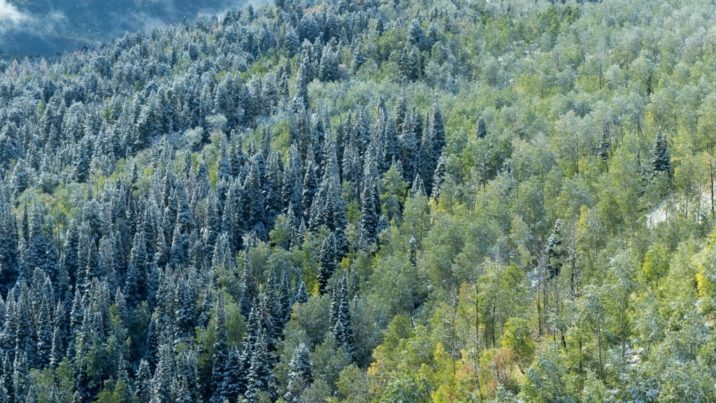 White fir is a preferred construction species because of its nail-holding ability, lightness in weight, and resistance to split, twist, and pitch. It is straight-grained, non-resinous, fine-textured, stiff, and strong. 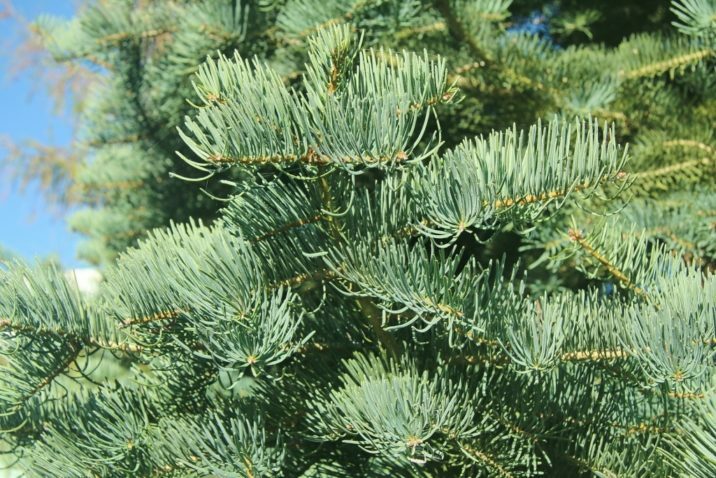 White fir is popular as a Christmas tree and for Christmas decoration owing to its soft needles, generally excellent needle retention and abundance. 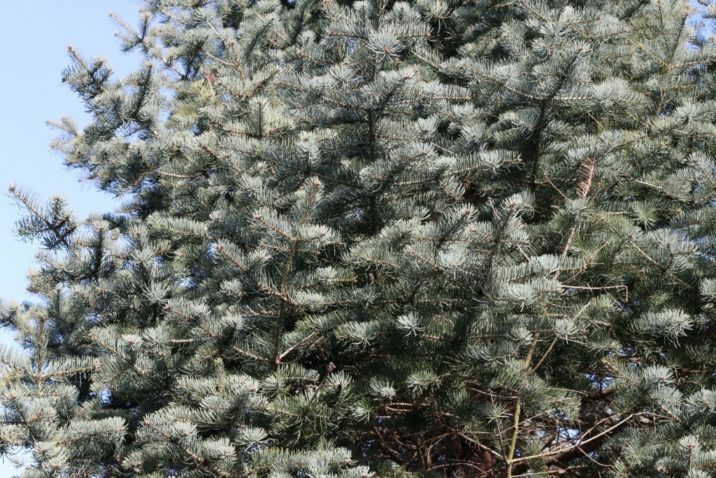 It is often marketed as concolor or white fir. Description. 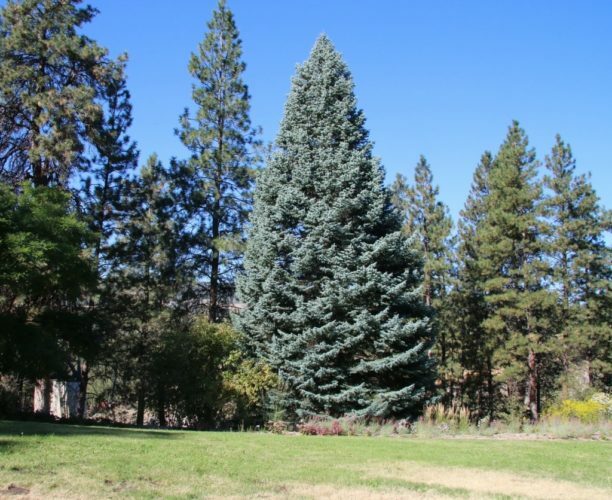 White fir is an evergreen coniferous tree which grows to mature heights of 130 feet (40 m) tall and with a trunk 35 inches (90 cm) in diameter, measured at breast height. 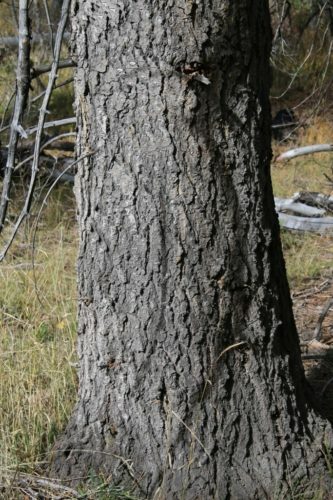 Branches diverge from trunk at right angles, the lower often spreading and drooping in age; twigs are mostly opposite, glabrous or with yellowish pubescence. 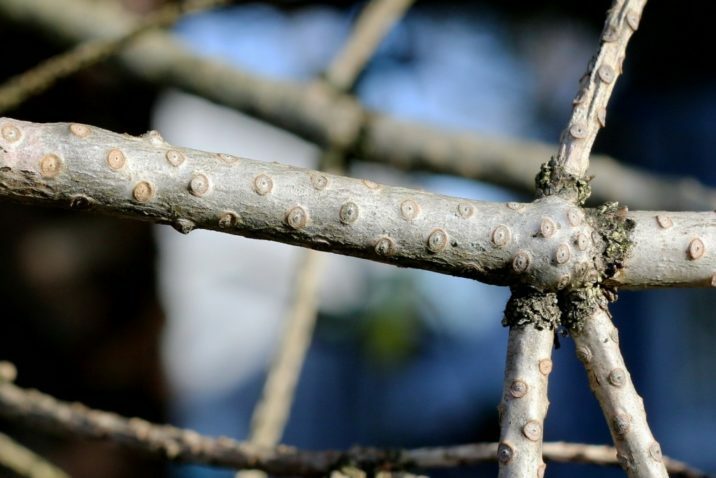 Buds are exposed at the branch tips, either yellowish in color and nearly conic in shape (when large) or brownish and nearly globose (when small). They are resinous, with a rounded to pointed apex. Their basal scales are equilaterally triangular, glabrous, not resinous, with entire margins and a sharply pointed apex. 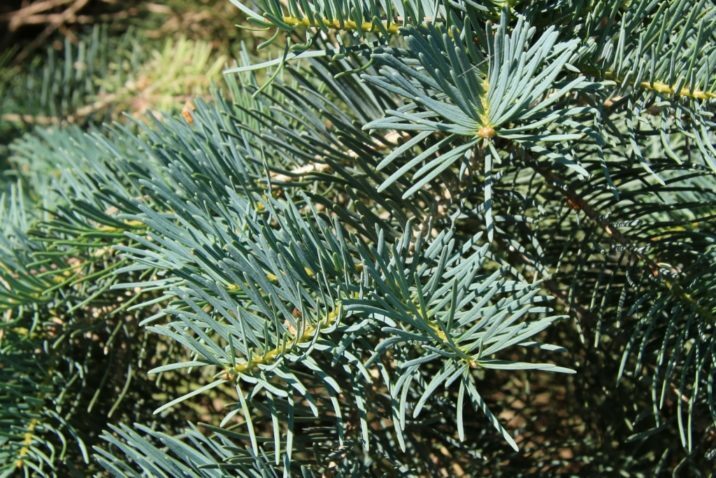 Foliage is needle-like, 0.6 to to 2.5 inches (1.5 - 6 cm) long, mostly double-ranked, flexible, with a straight proximal portion. They have a flat cross section, and sometimes slightly grooved. 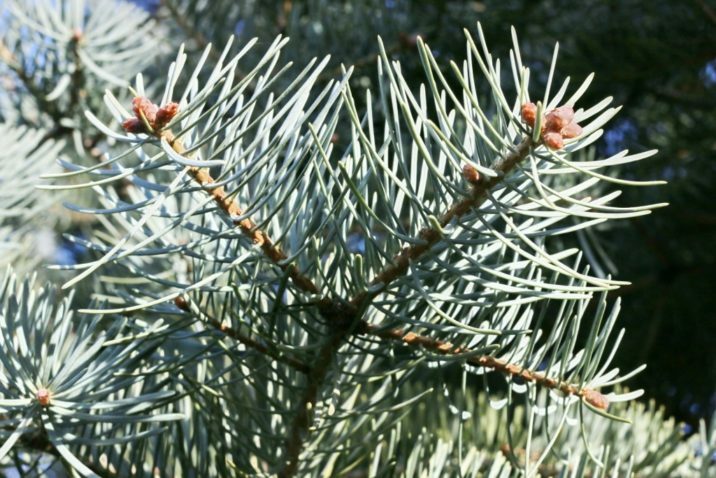 When crushed, the needles have a pungent, frequently camphor-like odor. Pollen cones at the time of pollination are red, purple, or green in color. 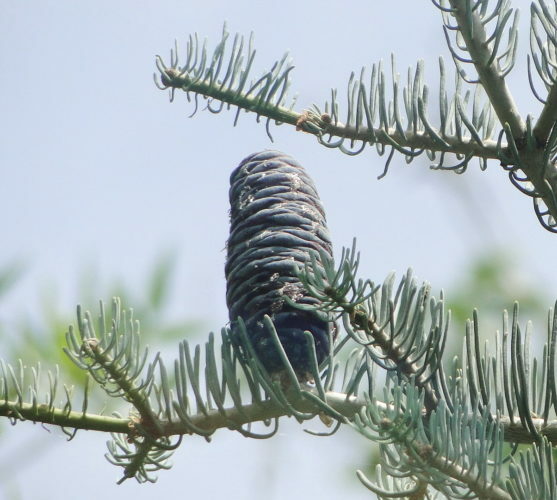 Seed cones are cylindrical, 2.8 to 4.8 inches (7 - 12 cm) long and 1.2 to 1.8 inches (3 - 4.5 cm) broad, olive-green in color. Seeds are 0.3 to 0.5 inch (8 - 12 mm) long with a tan body and tan wing with rosy tinge about twice as long as the body. natural range of A concolor var. concolor in green and var. lowiana in Blue. Distribution. 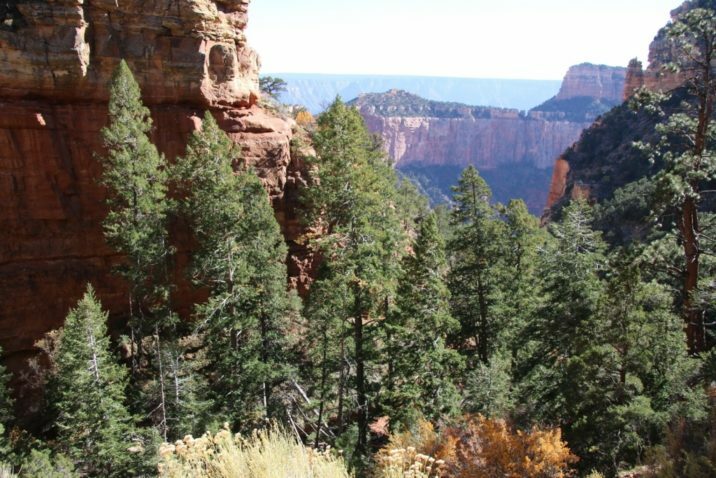 This species is native to USA — the states of Idaho, Oregon, California, Nevada, Utah, Colorado, New Mexico, and Arizona as well as Mexico — Baja California Norte and Sonorawestern, growing at elevations of 3,000 to 10,000 feet (920 - 3050 m) above sea level. 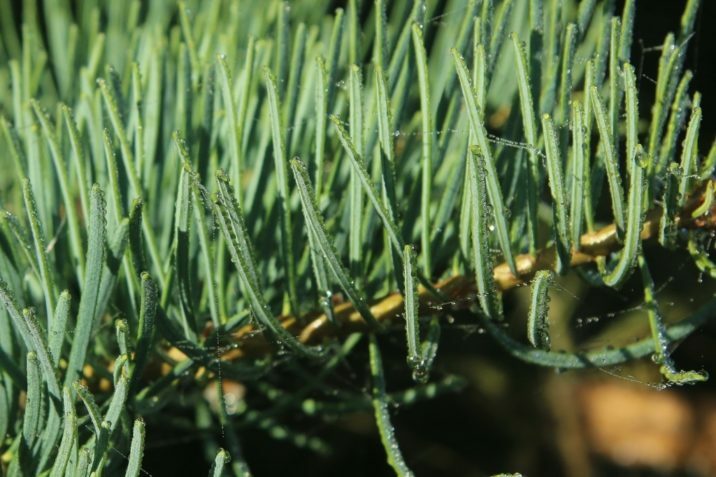 Abies concolor — a closeup of needles and seed cones. Abies concolor — white fir and trembling aspen stands, northern U.S.
Abies concolor — white fir in its native habitat, North Rim, Grand Canyon, Arizona, U.S.A.
Abies concolor — North Rim, Grand Canyon, Arizona, U.S.A.
Abies concolor — unique circles found in Abies species where needles were attached to twigs. 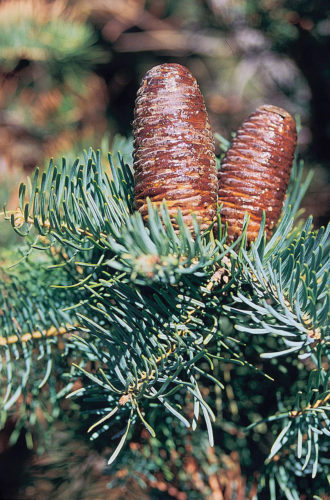 Abies concolor — mature cone in the fall. Photo from the Denver Botanic Gardens.